The first Scottish Championships of the amateur era were held at Powderhall Grounds in Edinburgh on 23rd June 1883. There was a total of 90 entrants and “Fifty Years of Athletics” tells us that it was an athletic and financial success. Top man on the day was WA Peterkin, a rugby international, of Edinburgh University Club who won both 100 yards (10 1/2 seconds) and 440 yards (51 3/4 seconds) and took silver in the Putting the Weight with 38′ 9″. K Whitton (Edinburgh University) won the latter and also took second place in the Hammer (93′ 2″). Other double medallists were J Smith who was second in the 100 yards and second equal in the high jump, T Moffat who won the half-mile (2:0.75) and second in the 440 yards and AR Don Wauchope (Fettesians and another outstanding rugby man) who was second in the 120 yards hurdles and in the Throwing the Cricket Ball (105 yds 2 ft 6 in). DA Bethune of the Established Church Training College won the Broad Jump which he retained in 1884. There were 12 events – 100 yards, 440 yards, 880 yards, One Mile, 120 yards hurdles, Three Miles Walk, Broad Jump, High Jump, Pole Vault, Putting the Weight, Throwing the Hammer and Throwing the Cricket Ball. There had been what were called championship events before this organised by bodies such as the various Highland Games and Gatherings of various sorts and of course the longest continuous sports meeting on the calendar (certainly in the west of the country), the various school sports: Royal High School 1864, Merchiston Castle 1866, Glasgow Academy 1868 and Fettes College 1874. Several Scots had competed in the English Championships but they were almost all from the University or Old Boys clubs that were to be founders of the SAAA. The meeting of 1883 was the first of a series of official championships that is still running. For a brief period the dispute with the Clydesdale Harriers led to parallel championships being held in 1895 and 1896. The second championships were held at the same venue but with one fewer events, the Throwing the Cricket Ball having been dispensed with. Titles were retainedby DS Duncan (Mile), J Harvie (Walk), DA Bethune (Broad Jump), G Hodgson (Pole Vault) and K Whitton (Putting the Weight). Conditions were described as “Light easterly wind. Fast track.” “Fifty Years of Athletics” tells us that Best Championship Performances were set in five events. The Putting the Weight winning distance of 41′ 9″ was a CBP; the 120 yards Hurdles time of 16 3/5th seconds was equalled in 1889 but lasted longer than that; the Three Miles Walk time of 23 min 16 sec was a CBP and a Scottish Native Record ; the 440 yards time of 51 1/5th sec was a CBP and a Scottish Record and the 100 yards time of 10 sec was a CBP (equalled in 1895) up to 1913 and a Scottish Native Record from 1913 (it was equalled in 1924, 1925, 1929, 1930 and 1932). 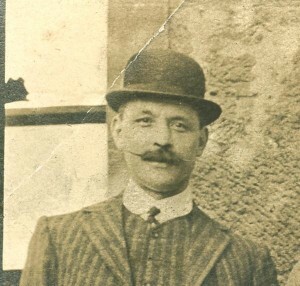 The winner of the 100 yards, James John Milroy Cowie, had been born in Laurencekirk, Aberdeenshire, but his family moved to Kent when he was three. By 1883 he was already a top-class runner: a meber of London AC he had won the AAA’s 100 yards and 440 yards in 10.2 and 51.0 seconds. His Scottish record stood for 51 years. The Championships came to the west of the country on 27th June, 1885, when they were held at Westmarch, Paisley. Westmarch was the home of St Mirren FC from 1883 to 1894. St Mirren of course was one of many football clubs that organised their own annual sports. Westmarch was said to have two pitches, a grandstand and a pavilion so it would have been eminently suitable for the championships. Conditions were described as being warm with light variable winds. 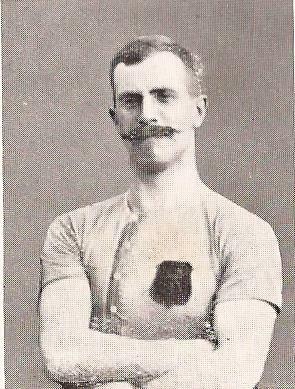 DS Duncan won the Mile (5 min 01 2/5th sec) for the third successive year and in the field events K Whitton had his hat-trick of Putting the Weight victories (41′ 6″). He was also the only competitor with two golds, winning the Hammer with 100′ 5 3/4″. There was only one CBP and that was in the Broad Jump where JW Parsons leapt 21′ 9 1/2 “. Parsons was also second in the high jump with 5′ 6″. 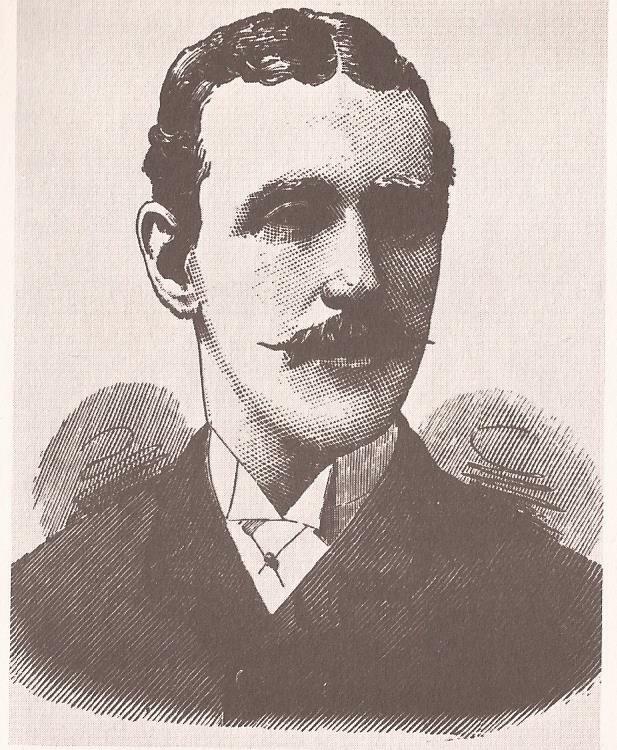 Parsons had been competing for many years as a member of EUAC and Fetessians-Lorettonians and had medals at the AAA’ sChampionships inaugural meeting but his real big day was in June 1883 when he won the AAA’s High Jump with 6′ 0.25″ but also won the Long Jump with 23′ 0.25″. Wonderful performances but he didn’t catch the Scotish record which was set by Tom Vallance (Rangers FC and later Clydesdale Harriers) in 1881 at 21′ 11”. 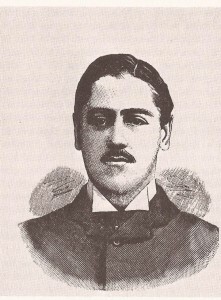 RH Morison won three medals in 1885 – third in the 100 yards, second in the 440 yards and second in the 880 yards, won by J Logan in 2 min 03 3/5th sec. There was one change – Clydesdale Harriers had been founded on 4th May, 1985, just over a month beforehand and that was to have an efect on the future of the championships. There was a new event added to the championships in 1886, the ten miles championship. For obvious reasons it was not held at the championships proper but included in a meeting at Powderhall Grounds on 28th June – two days after the championships which were also at Powderhall. The results of the championship first. The winner of the new event was AP Findlay of Clydesdale Harriers who was the reigning Cross-Country Champion. He came from Ayr and was a notoriously tough competitor. He was the only finisher in the event. There were other Clydesdale Harriers competing – T Blair, J Caw, A Brown, A Vallance, JT Ward were among the first three in their events. DS Duncan: winner of five SAAA Mile titles, including the first four-in-a-row! Yet another event was added in 1887 – the Four Miles Championship which was decided on the day of the actual championship meeting. The meeting was held on25th June at Hampden Park and the Ten Miles was he;ld just two days later in Edinburgh at Powderhall. AP Findlay, the stonemason from Ayr won both. The championships were now becoming established but there were several differences that a modern spectator would notice straight away. First of all, only two medals were awarded instead of the now customary three and the only time given was that of the winner. Some of the biggest differences were in the field events. In the Pole Vault for instance, the pole was of ash or hickory wood, rigid and often broke – as it did in the first championship. It was very poorly supported and intially only appeared in the championship for seven years before being dropped after there were no competitors at all in 1890. John Keddie in his centenary history of the SAAA describes the high jump technique as follows: “Jumpers like Parsons would approach the bar straight on, tuck their knees up to their chest and thus, hopefully, sail over. By this method quite lng distances were also jumped!” The Hammer was at that time thrown from a 9′ circle rather than from the 7′ circle that was used from the early 20th century. That open athletics had arrived was indicated by the number of Clydesdale Harriers among the medallists – Logan, Findlay, Henderson, Brown, McCulloch and Ward all being members of the club. Having all the championships in the one weekend is nearly always a good idea but when you see Findlay racing a four miles on the Saturday in Glasgow and then travelling to Powderhall two days later for the ten miles, you maybe have to wonder. However the situation was soon to change and in 1888 the ten miles was held in April. In 1888 the championships took place at Powderhall on 23rd June when conditions were fairly good – dry with a slight wind. Clydesdale Harriers were by now the biggest club in the land – Edinburgh Harriers had followed their example and appeared on the scene in September 1885 and were followed a year or so later by West of Scotland Harriers but Clydesdale was the biggest by far. The winners of the threedistance events – They were particularly prominent in the distance events with Blane, Logan, Findlay and Hannah being significant athletes. Blane was a Kilmarnock man who was a successful racing cyclist before he turned to athletics where he had a short but outstanding career winning championships and setting records at National level. 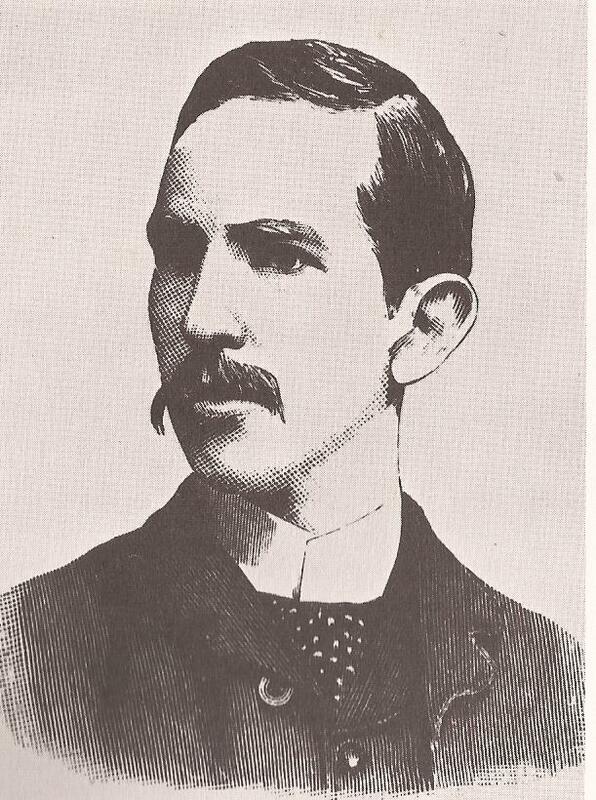 1888 was his best year when he was one of three men attempting to break the 4:30 barrier for the mile but his best attempt was 4:30.2 in July before DS Duncan cracked it in September with 4:28. 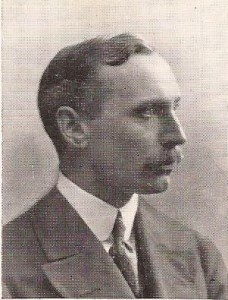 Findlay won the Ten Miles for the third successive year and DS Duncan had two seconds, in the Mile and in the Ten Miles – but he had not yet finished winning the Mile championship. 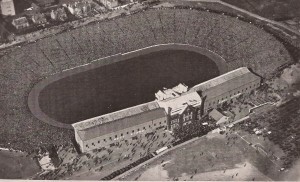 The 1889 Championships were held at Hampden Park on 22nd June when the weather conditions were reported as Warm with light breezes. It was a good championship at least insofar as records were concerned – the Mile, Four Miles, 120 yards hurdles and Pole Vault were all CBP’s and Four Miles and PV were both Scottish Native Records. The distance races were the preserve of Clydesdale Harriers members with Mitchell, Pennycook, McWilliam and Hannah all being club members but two names stand out in the list of winners – K Whitton and JL Greig in the jumps. Kenneth McLennan Whitton was a footballer with St George’s FC and later on joined Edinburgh Harriers. He was the first Scot to putt beyond 13 metres. 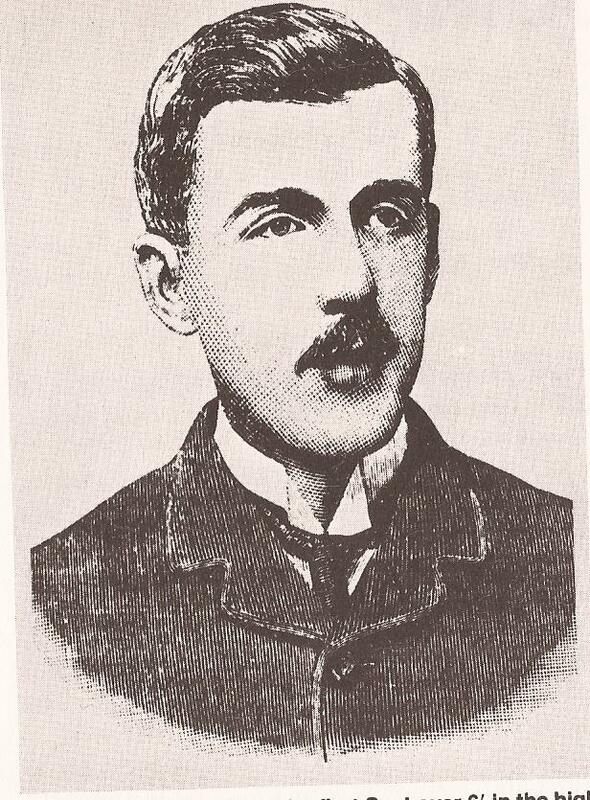 He had competed in the 1883 championships and won it again in ’84 and ’85 before coming first again in 1889. 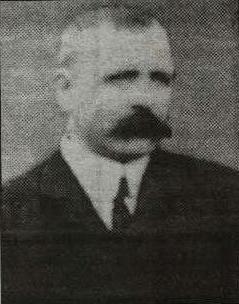 After his competitive career was over he became President of the SAAA in 1932 and a life vice-president until his death in 1947. He was also first Scottish record holder in the Hammer which he threw 100′ 5.75″ in 1885 which he improved to 103′ in 1890. James Lewis Greig was another Fettes man who was very versatile, competing successfully in the sprints, the hurdles and the jumps. 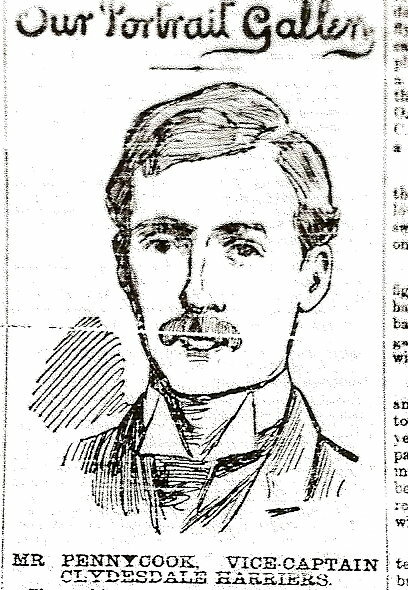 He won the hurdles and long jump twice for Cambridge in their annual contest with Oxford but his most unusual feat was in 1889 when he won three events at the SAAA Championships. Never setting a Scottish record for any of the events, he was second best ever when he long jumped 22′ 7.75″. Charles Pennycook was another very ineresting character who went on to become President of the SAAA. All events were covered in similar fashion. The championships in 1891 were decided in Glasgow at Hampden on 20th June. One to watch was James D McIntosh of the West End Amateur Rowing Club and Edinburgh Harriers who would go on to win the Hammer event six times and the Shot six times as well, doing the double five times! He was to set a record of 117′ 03″ in 1897 throwing from a 9′ circle. Andrew Hannah would ultimately have seven ten mile titles to his name as well as four four miles championships. For the championships, DS Duncan won the Mile for the fifth time. It will be noted that there was no Pole Vault this time and the event was dropped after several years of little support, no competitor took part in 1890. The high jump must also have been at some risk – one competitor in 1890 and none in 1891 was not a good sign. The championships were held in 1892 in Dundee – at the Carolina Port Grounds which had been opened in 1891and was the first major venue in the city. 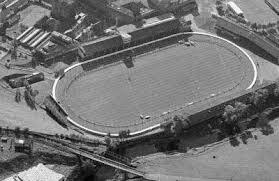 It was the home of Dundee FC for a number of years. A quick glance at the results indicates that there was a new event on the schedule – the 220 yardsmade its appearance and, if we substitute the three miles for the four, then the track events are starting to look more like the modern championships. Hugh Barr, Clydesdale Harriers winner of the Long Jump 7 times as well as the 100 yards once. 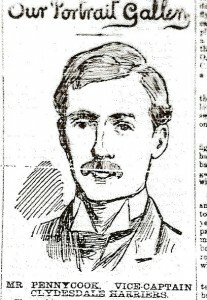 The 1893 championships were spectacular in terms of the quality of the champions – including the new champions – who appeared at Hampden on 17th June. 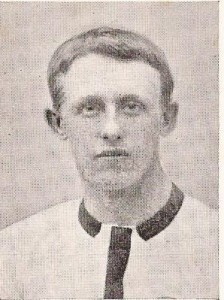 the great Alf Downer who was to do the ‘triple triple’ (three sprints every year for three years), Hugh Barr who went on to win the broad jump seven times, Andrew Hannah who won the Mile, Four Miles and Ten Miles, John Gow of Rangers FC and Clydesdale Harriers who won the hurdles and JD McIntosh in both throws events. The following report is from the ‘Glasgow Herald’ of 19th June. “Gathering together the outstanding features of Saturday’s championship meeting, we first of all come to the triple victory of Mr AR Downer of the Edinburgh Institution in the 100 yards, the 220 yards and the quarter. This is a unique achievement. In 1891, BC Green, London Athletics Club, won the 120 yards hurdles and broad jump, and while these performances no doubt represent greater versatility than Downer’s, still the latter’s triple victory over graduated distances is in our opinion the more meritorious. Downer would have done good time in the 100 and 220 yards had he been pressed; as it is, his performances are very creditable, and there can be no doubt that he is head and shoulders the finest sprinter Scotland has yet turned out. D McCulloch was weak in the 100 yards, weaker still in the 220 yards – a distance over which he was supposed to be invincible – and he threw away the quarter in a by a display of judgment unpardonable in a runner of his years and experience. Downer will make a capital quarter miler with some additional training. So also will HA Mollison, Glasgow University AC. He ran well on Saturday and were he trained on the same scientific principles as Downer he would easily become as great a runner. Strong physical assertiveness is the distinguishing characteristic of Downer’s running, and that, combined with boundless confidence, has given him the high position he now holds. The half-mile was the best race of the day, and both Malcolm and Hindle distinguished themselves. It was a close finish, and the time – 2 min 1 4-5th sec – is consistent with their handicap running all season. AR Muir finished inside standard, 2 min 3 sec. Andrew Hannah carried off two championships, the one and four miles. In the former, he beat Milroy in the sprint and in the latter, he shook off Robertson the same way and won, the times being 4 min 36 and 21 min 36 sec. If Milroy could only sprint, he would be the best mile runner in Scotland. By next year perhaps this defect will be put right. The walk is played out and should be abolished. One of the best performances of the day was AL Graham’s high jump of 5′ 8″. Only once has this been surpassed and that was in 1886 when JW Parsons, Fettes College, did 5′ 8″. The long jumping was disappointing. Guthrie was reported to have done 22′ in practice, while Hugh Barr, Clydesdale Harriers, on Thursday did 21′ 9″. The former fell off terribly as all he could do was 19′ 4″; Barr however covered 20′ 0.5″ and thus won the championship, while AL Graham was second with 19′ 4.75″. It should be kept in mind that all the jumping was done in the face of a stiffish breeze. The Saturday previous Barr did 20′ 3.5″, a performance which in face of the fact that he had no ‘previous performance’ to give, we felt justified in characterising as a remarkable jump for one who was ostensibly a beginner. We are informed however that Barr was quite entitled to rank as a novice, as he had not jumped since he left school, not even once in practice. JR Gow’s hurdle win was very popular. Only one record was broken on Saturday and that was in the matter of attendance, the gate and stands realising £233. Two years ago when the championships were held at Hampden, the gate and stands yielded £120.